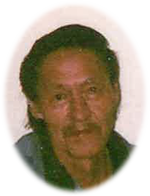 Arthur Daniels, late of Sturgeon Lake, SK, passed away on October 22, 2018 in Prince Albert, SK at the age of 74 years. Arthur will be lovingly remembered by his wife: Darlene Daniels; his children: Melinda (Garret) Daniels and family, Donald Daniels and sons, Carla Daniels and son, Lisa Daniels and family, Miranda Daniels and family, Carrie Daniels and family, Chris Daniels and family; his sister: Irene Ermine and family; his brother: Ronnie Daniels. Arthur was predeceased by his daughter: Lancia Daniels;his parents: Abel and Susan Daniels; his sisters: Alma and Ruth Daniels; his grandparents: Chief John and Elizabeth Moosehunter; his father-in-law: Gordon Napope; his mother-in-law: Louise Napope; his brothers-in-law: Led Ermine and sons Leon, Kelsey and Elston Allen, Wallace, Micheal and Chief Wesley Daniels. 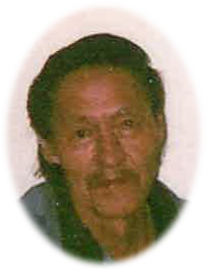 A Funeral Service will be held on Friday October 26, 2018 – 2:00PM at Sturgeon Lake Community Centre, Sturgeon Lake, SK. Arrangements in care of MacKenzie Chapel & Crematorium – Shellbrook Funeral Home. Brian and Bev Stobbs, Renee Phaneuf - Funeral Directors. www.MacKenzieChapel.ca 306.763.8488. To send flowers to the family of Arthur Daniels, please visit our Heartfelt Sympathies Store.